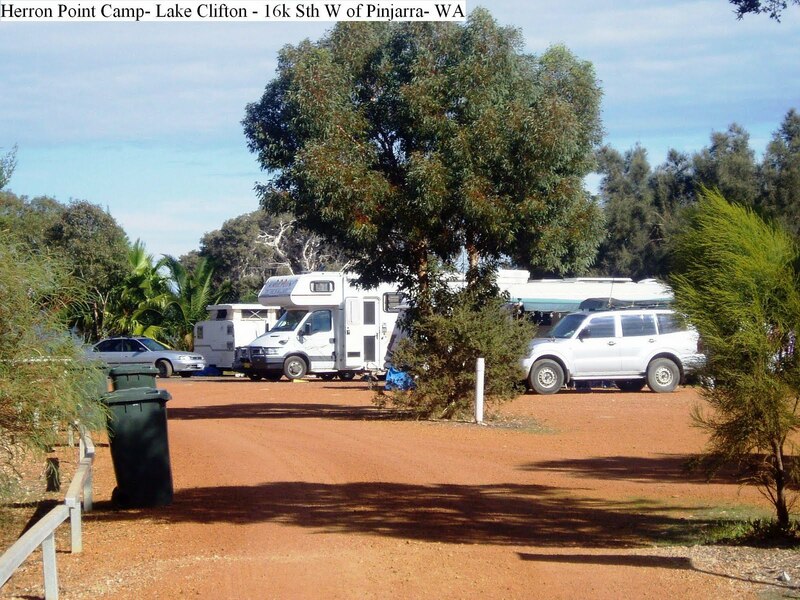 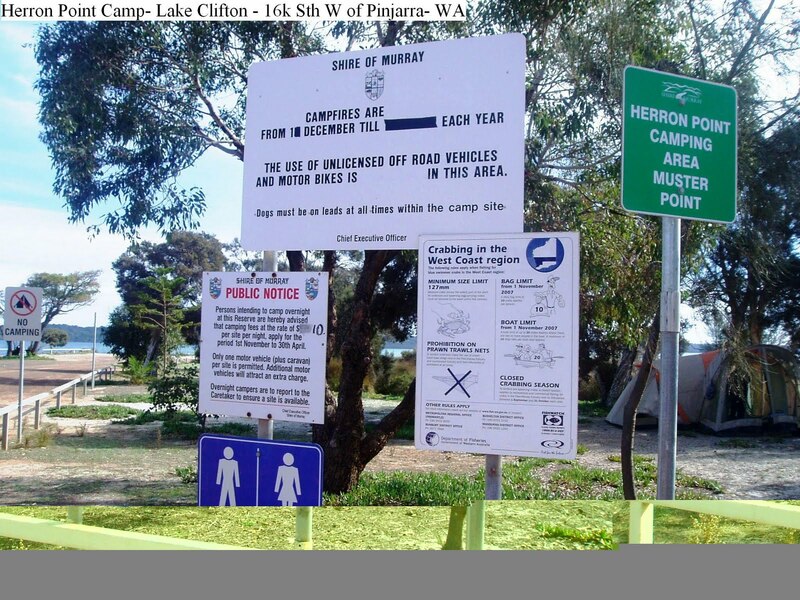 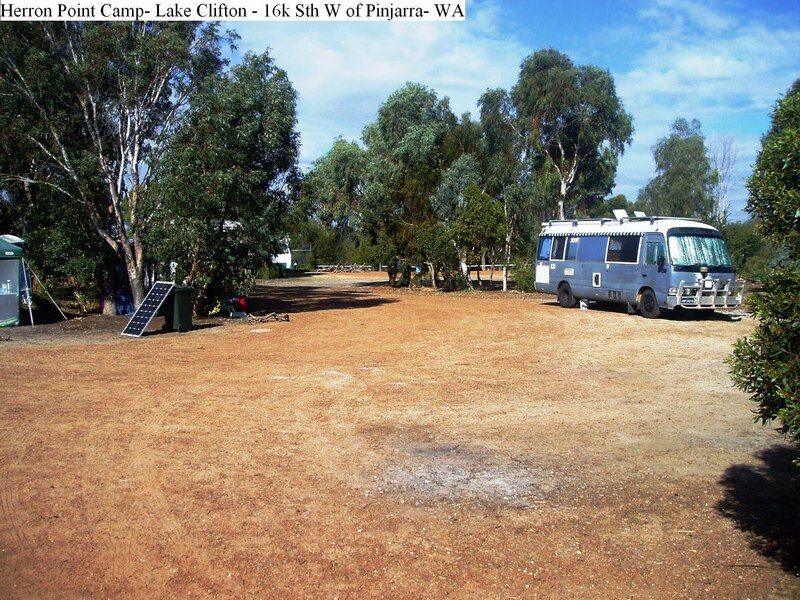 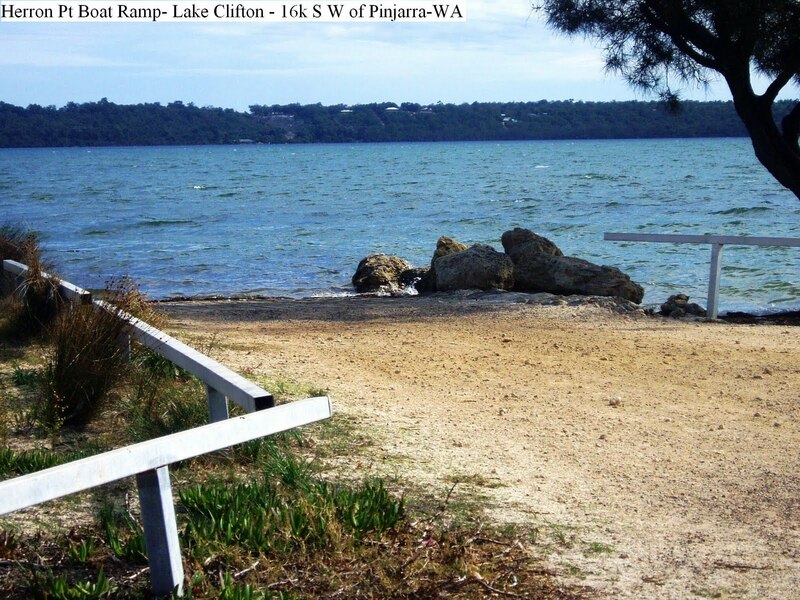 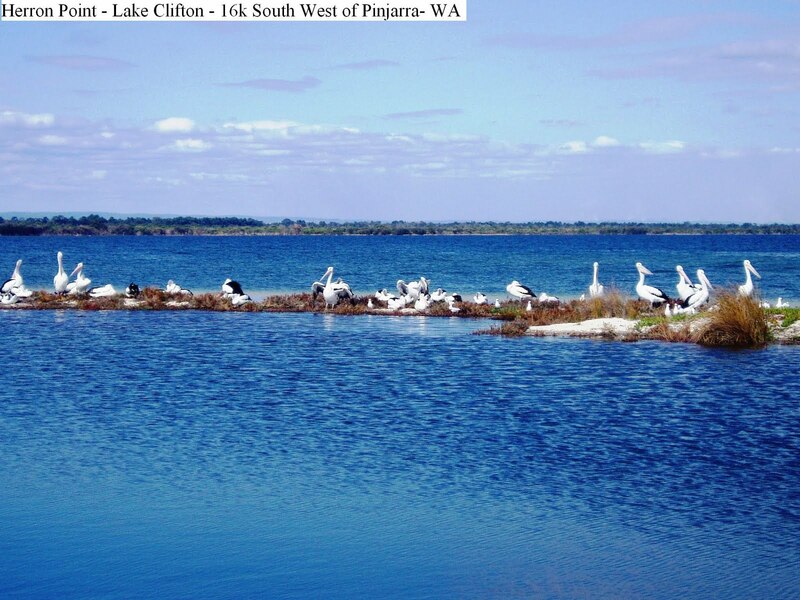 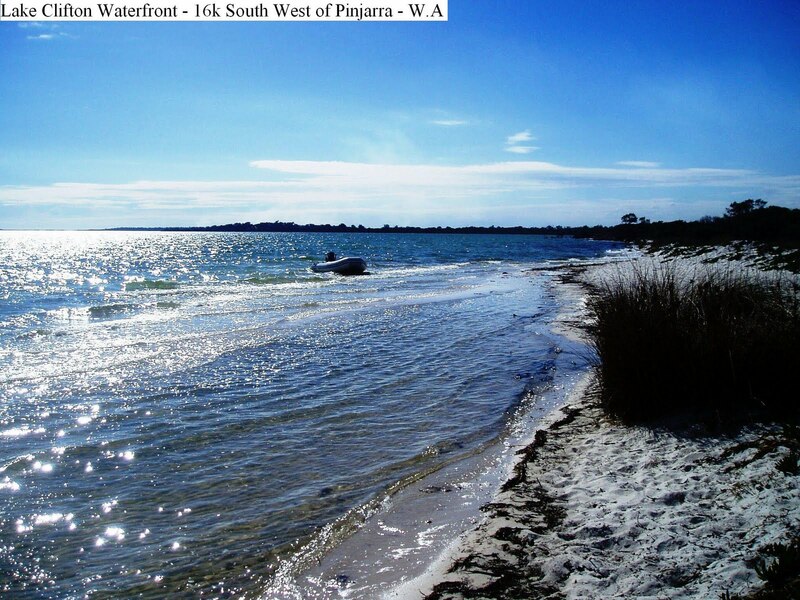 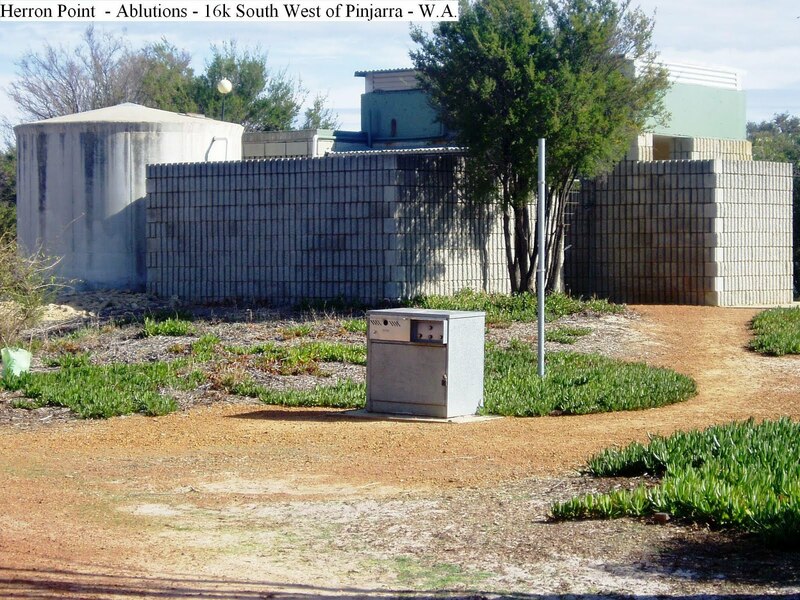 Situated near Lake Clifton and reached by turning North off Old Bunbury Road, 16k South West of Pinjarra or 7k East of Old Coast Road / Old Bunbury Road Junction onto Herron Point Road. 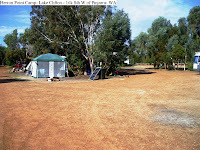 The camp area has septic toilets, shelter sheds, a gas BBQ and the area is level and shaded in some spots. 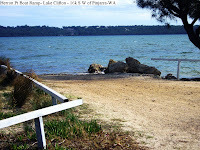 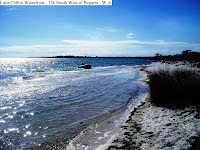 There is a boat ramp and easy access to a sandy waterfront. 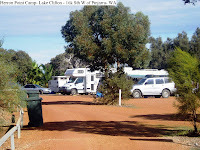 There is a limit of 15 sites and fees apply from November to April together with a 4 day time restriction. A very popular place during the holidays and weekends. 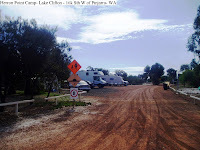 Camps Australia Wide No. 6 Site No. 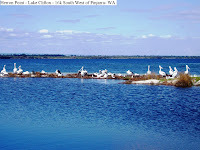 WA – 262.